No-till agriculture could cool Europe's hottest days by up to two degrees. Soybean plants emerge from the residue of the preceding year's wheat crop in this Arkansas field. ‘No-till’ farming — in which seeds are sown into fields without first ploughing them — could help to lower temperatures near croplands by up to 2 °C, researchers report in the Proceedings of the National Academy of Sciences1. The effect is driven by the increased fraction of sunlight that the soil reflects back into space, or albedo, in fields that have not been ploughed, which reduces the amount of heat the Earth’s surface absorbs from the Sun. No-till plots are roughly 50% more reflective during summer months than tilled croplands, according to measurements made in the wheat fields of an experimental farm site in the Provence region of France. And that can translate into a big effect on the climate at local scales, says Sonia Seneviratne, a climate scientist at the Swiss Federal Institute of Technology (ETH) in Zurich and an author of the study. “The effect on extremes is pretty strong — the cooling is twice as large for very hot temperatures than for the median temperature,” she says. Previous studies had concluded that the cooling effects of unploughed fields were small2, but that research generally looked at temperatures averaged over longer periods and larger areas. Climate modeling by Seneviratne and colleagues also finds a small cooling effect — less than 1 °C — in no-till areas on days when conditions stay close to the seasonal median. But on the hottest 1% of summer days — such as the heatwave that struck France in 2003 and killed more than 14,000 people — agricultural areas in northern Europe could see temperatures reduced by 1.6 °C, with a larger dip of 2 °C in southern Europe. 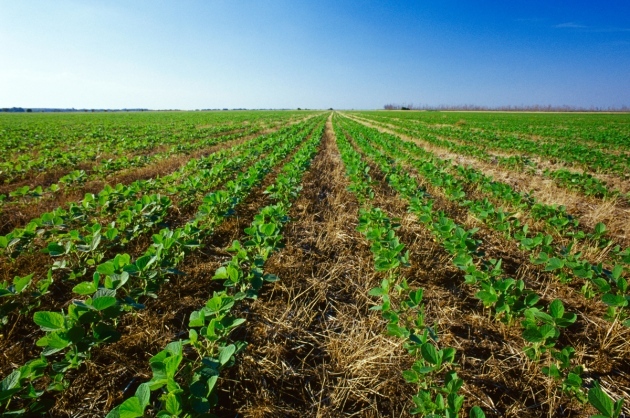 No-till agriculture is often promoted because it limits erosion, and leaving residues of the crops in fields means that the soil retains more moisture. That reduces evaporation, limiting its cooling effect. But the very hottest days tend to be very sunny and clear, Seneviratne says, so the cooling from increased reflectivity overwhelms any countereffect from reduced evaporation. The next step for Seneviratne and her colleagues is to determine what scale no-till farming would have to be done at to have an appreciable effect on climate. “You would need to have a fairly large area, because what we found in the simulation is that this is mostly a local effect,” she says. Davin, E. L., Seneviratne, S. I., Ciais, P., Olioso, A. & Wang, T. Proc. Natl Acad. Sci. USAhttp://dx.doi.org/10.1073/pnas.1317323111 (2014). Mark Jennings plants sunflowers in wheat stubble. Attending a no-till conference forever changed the way North Dakota farmer Mark Jennings farmed. He started using basic conservation practices for conserving moisture. For the past decade he’s been sowing cover crops and reaping rich returns. Working closely with the USDA’s Natural Resources Conservation Service, Jennings has become a devoted no-till farmer. At the 2014 Agricultural Outlook Forum, the North Dakota farmer presented his story to a crowded room at the “Economics of Conservation” seminar. USDA hosts the two-day forum. “I’m working towards sustainability by copying Mother Nature, and Mother Nature doesn’t till,” said Jennings, who grows wheat, sunflowers, corn, soybeans, peas, flax, oats, canola, barley and a variety of cover crops. “The biological livestock in the ground can do tillage for you,” Jennings said. “There are over a billion organisms in a teaspoon of healthy soil. Tilling destroys them. 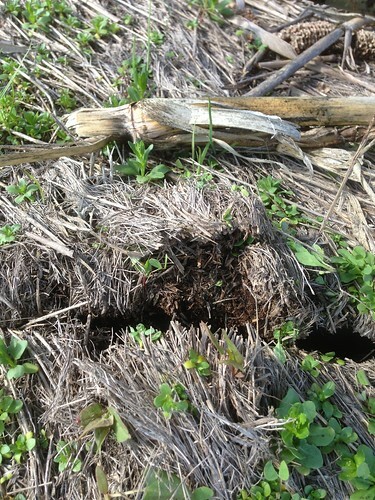 Jennings had to overcome obstacles when he switched to no-till. In addition to learning a new way of farming, he faced pressure for trying something different. “They told me that’s not the way you’re supposed to farm,” Jennings said. He smiled as he clicked through a series of before-and-after pictures of his land. The results speak for themselves. Mark Jennings plants corn using no-till, and this harvest is the result. Since switching to no-till, Jennings has seen increased water holding capacity and better infiltration. He saves money on fuel and fertilizer. He saves time. His soil is healthier, and his yields are larger. Jennings encourages farmers interested in conservation to visit NRCS. Mark Jennings plants sunflowers in corn residue on his North Dakota farm. Gabriela Cruz, agricultora Portuguesa, recebeu o prestigiado Prémio Kleckner Trade and Technology Advancement 2010, pelo seu empenho na informação, apoio e defesa dos agricultores na adesão a novas culturas, práticas culturais e novas tecnologias, e ainda pelo seu esforço no sentido de mudar as atitudes dos governos Europeus que bloqueiam o acesso à liberdade de escolha dos agricultores para utilizarem produtos da biotecnologia, mais concretamente, as culturas geneticamente modificadas. O Prémio, entregue pela Truth about Trade and Technology (TATT), procura reconhecer a capacidade de liderança, visão e determinação na defesa da liberdade de todos os agricultores escolherem as tecnologias e as ferramentas que promovam o aumento da qualidade, quantidade e disponibilidade de produtos agrícolas em todo o mundo. Maria Gabriela Cruz é formada em Engenharia Agronómica pelo Instituto Superior de Agronomia de Lisboa e é presidente da APOSOLO - Associação Portuguesa de Mobilização de Conservação do Solo. Na sua exploração são utilizadas algumas das práticas e tecnologias agrícolas mais modernas ao seu dispor, com o objectivo de combater a erosão dos solos e de minimizar o impacto dos fitofarmacêuticos, que utiliza nas culturas, na saúde dos seus colaboradores e no ambiente. - Utilização de variedades de plantas geneticamente modificadas para utilização na agricultura (isto é, plantas melhoradas através de técnicas de DNA recombinante e engenharia genética). Gabriela Cruz é cliente AGROGESTÃO.